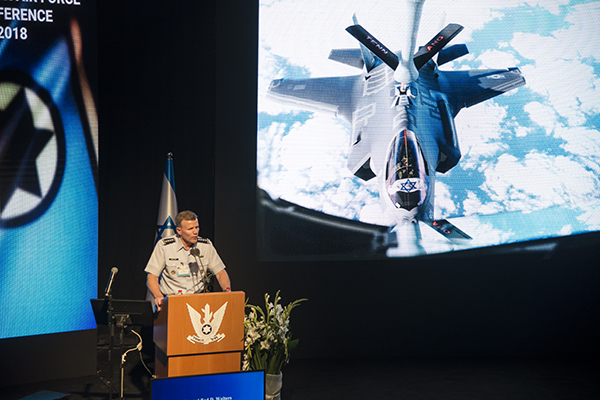 The Israeli Air Force : "The first F-35 operational strike"
This morning (Tuesday), an international air force commander convention began at the Israeli Air Force Auditorium, featuring air force commanders and senior officers from over 20 countries. 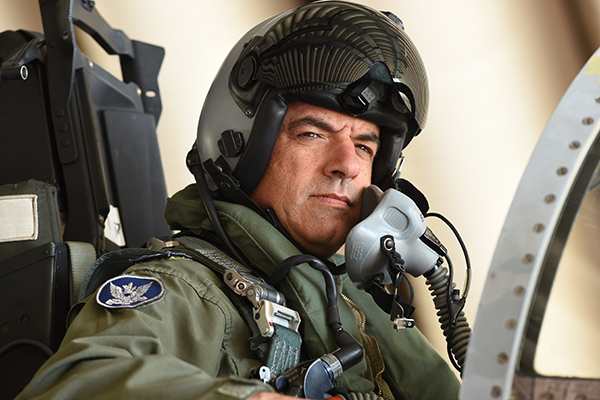 IAF Commander, Maj. Gen. Amikam Norkin: "We performed the F-35's first ever operational strike. The IAF is a pioneer and a world leader in operating air power"
"The 'Adir' (F-35I) aircraft are already operational and flying combat missions. In fact, we have performed the first operational F-35 strike in the world. We attacked twice in the Middle East using the F-35 – we are the first in the world to do so. 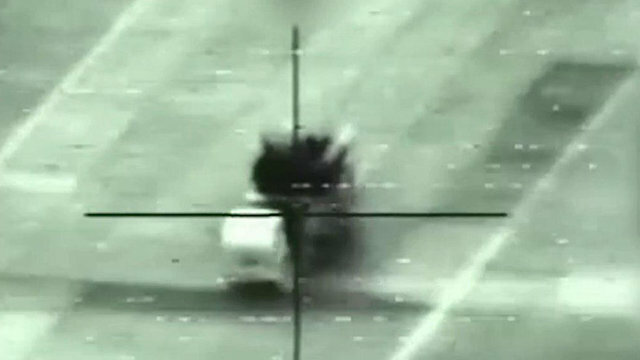 The Israeli Air Force is a pioneer and a world leader in operating air power". These are the words of IAF Commander Maj. Gen. Amikam Norkin, spoken today (Tuesday) at the International Air Force Commander Convention's opening at Israel's Air Force Auditorium. As part of the convention, which also marks the Israeli Air Force's 70th anniversary, air force commanders and senior officers from over 20 countries will arrive in Israel. Among the countries participating in the convention are the United States, UK, Germany, Canada, Greece, Poland, Italy, Cyprus, Austria, Bulgaria, Brazil, France, Czech Republic, Romania, Croatia, the Netherlands, Finland, Belgium, Vietnam and India. "This gathering is an exceptional event marking aerial, global and regional cooperation in order to strengthen regional stability. Your presence here has a strategic meaning for the people of the IAF and for myself, and for that I thank all of you", said Maj. Gen. Norkin. The air force commanders will participate in lectures and reviews surrounding IDF and IAF strategic topics. These will include a historical review of the IAF; a regional strategic review; a lecture regarding the “fifth-generation” of aircraft given by the CEO of Lockheed-Martin, Marillyn Hewson; a lecture by the Multinational Force and Observers, operating in the Israel-Egypt border; and a lecture given by the commander of the USAFE (United States Air Force Europe). Later, the commanders will meet IDF Chief of Staff Lt. Gen. Gadi Eizenkot. The IAF Commander told the other commanders of some of the IAF's operational events over the past few weeks. "We checked what the Iranians were doing around us. Quds Force was based in the T-4 airbase, 250 kilometers from Israel. From this base, they attempted to attack us using a UAV (Unmanned Aerial Vehicle) which infiltrated Israel a number of months ago. After this event, we saw that they continued to store munitions in this base, including aerial defense capabilities which we attacked this month". "I thank each and every one of you, both personally and professionally, for spending your time here with us", said USAFE Commander Tod D. Wolters. "It speaks volumes of your character, your appreciation for global safety and how you would rather be a part of the solution and not a part of the problem". 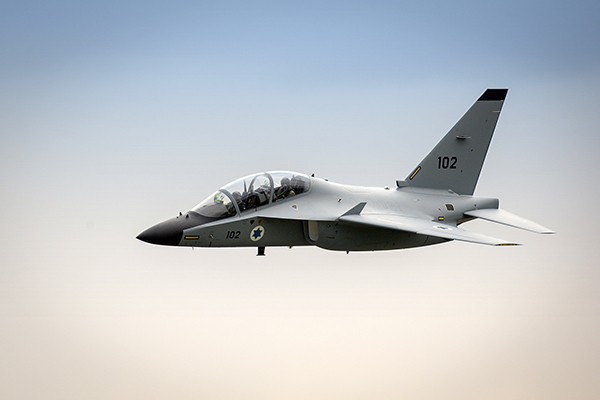 Taking Off in the "Lavi"
Tomorrow (Wednesday), the senior commanders will receive a tour of Tel-Nof AFB, from which they will take off for a mutual training exercise in the "Lavi" (M-346) aircraft, the Flight Academy's advanced training aircraft. During the flight, the commanders will be able to see the vistas and views of Israel. The "Lavi" aircraft will be escorted by the 140th ("Golden Eagle") Squadron's "Adir" (F-35I) aircraft for a formation sortie. 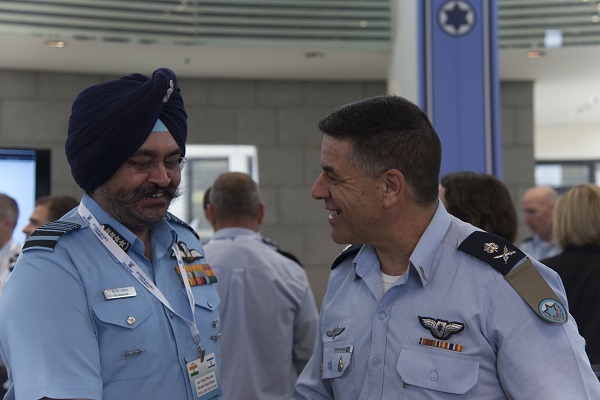 Afterwards, the air force commanders will meet the Prime Minister and receive a tour of an exhibition displaying IAF aircraft and Israeli defense industry equipment. Eventually, they will arrive at Jerusalem, where they will meet the president and visit the Pilot’s Mount, the IAF’s main memorial site.